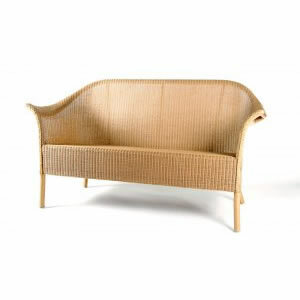 The Lusty Lloyd Loom Model 63 is a two seater settee based on the classic Model 60 Armchair. Very popular since the 1920s, the Model 63 is the perfect accompaniment to a pair of Model 60s and is ideal for any reception area, conservatory, patio or hallway. Designed by Jim Lusty circa 1930.